David Chapman has given us the story of the house, ‘Leyton Grange’, which David Gansel, born 1690 or 1689, designed for himself 1. Ownership of the manor of Leyton Grange was split three ways in 1650 and the manor house is thought to have fallen down or been demolished by then. Gansel’s father, also David, purchased two-thirds of the Leyton Grange manor, and for his home rebuilt Leyton House, which was at the Church Road end of Capworth Street. 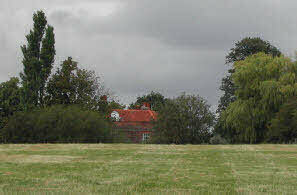 The younger David Gansel lived at the new Leyton Grange from its construction in 1720 2 until 1733, when he moved to East Donyland Hall near Colchester.